This is a set of two DE Racing Trinidad SC Front/Rear Wheels. These wheels are intended for use with the Associated SC8 trucks and other short course trucks that use 17mm adapters and 0 offset wheels. Built with the same attention to detail that is offered in the rest of the Trinidad SC wheel line, DE Racing is proud to bring you a new kind of SC wheel, the “Trinidad” with 17mm hex. 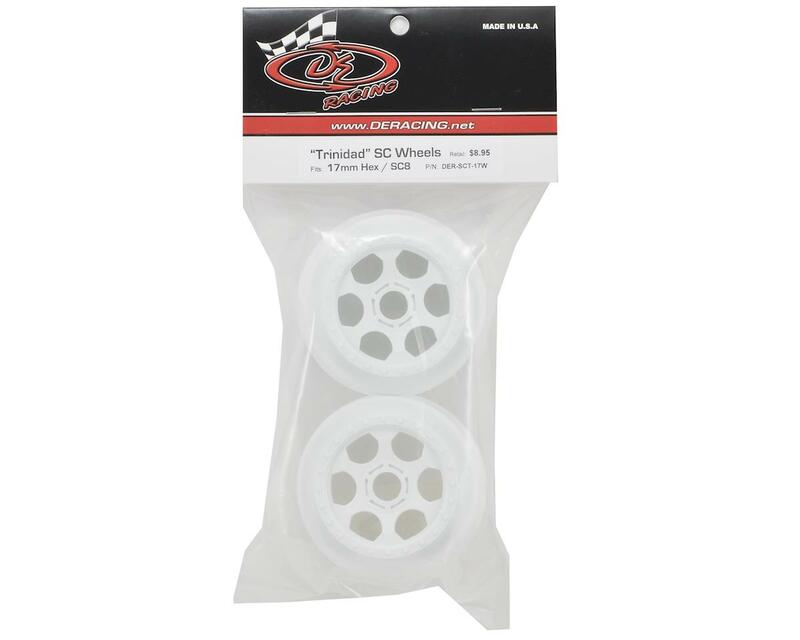 It features the same 17mm hex and offset found on 1/8 scale buggy wheels and is intended for use with the adapters that many drivers have on their SC trucks. Now you can bash or practice with your old 1/8 scale buggy wheels and tires and then switch to race legal wheels and tires without the timely process of having to remove the adapters. 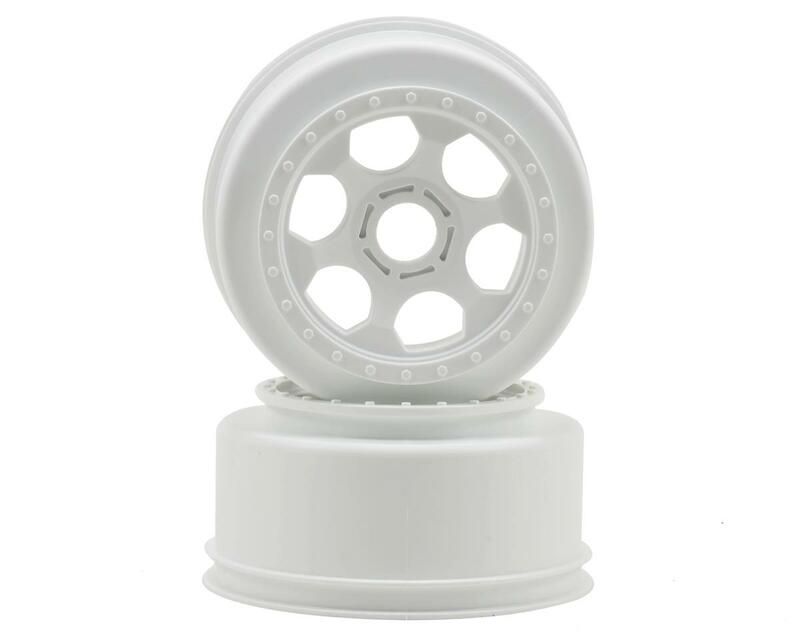 These wheels were also purpose built for use with the Team Associated SC8 and SC8E 1/8 scale SC trucks in order to increase the number of tire choices for this class.